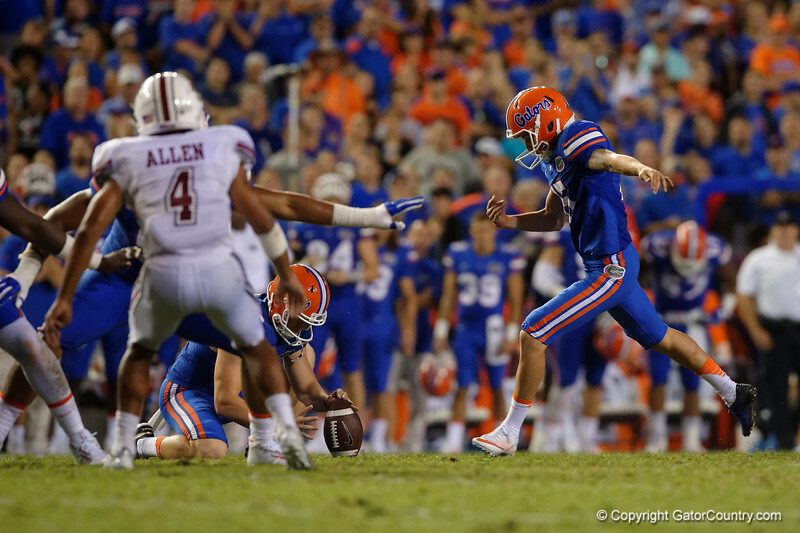 Florida Gators defensive kicker Eddy Pineiro kicking his second of three field goals, as the Florida Gators football team wins their opening game of the 2016 season 24-7 over UMASS at Ben Hill Griffin Stadium. September 3rd, 2016. Gator Country photo by David Bowie.